Originally I was looking at electrical pressure cookers since they seem to be multi-functional, safer, and have different timer settings. It seems to be a good choice for a pressure cooker beginner who has heard lots of rumors about pressure cooker explosion. The points of electric pressure cooker being too space consuming, not enough pressure and harder to clean really hit me on making decisions. Also, knowing you can only fill up 2/3 of your pressure cooker makes me even want a bigger pot. You can always put less in your pot. But if you get a smaller pot to start with, you’re limited from the beginning. We just love it after a couple try. It is all made in Germany, 18/10 stainless steel, very easy to operate. 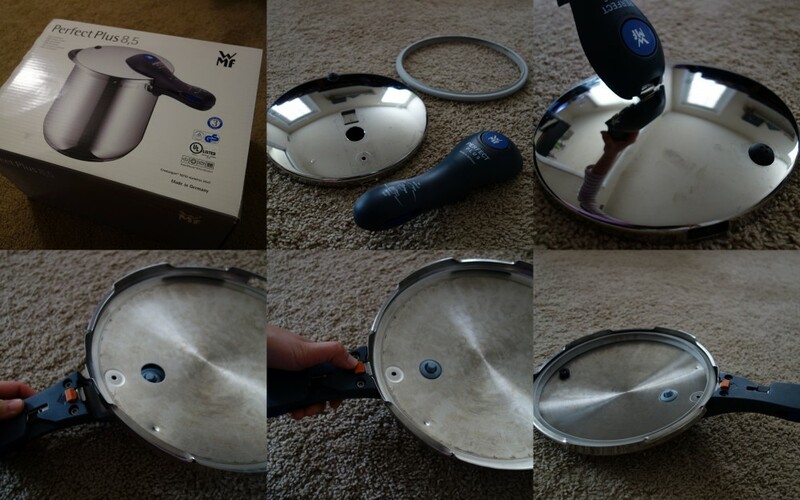 It has many user friendly features such as the removable handle from the lid which makes easier to clean. 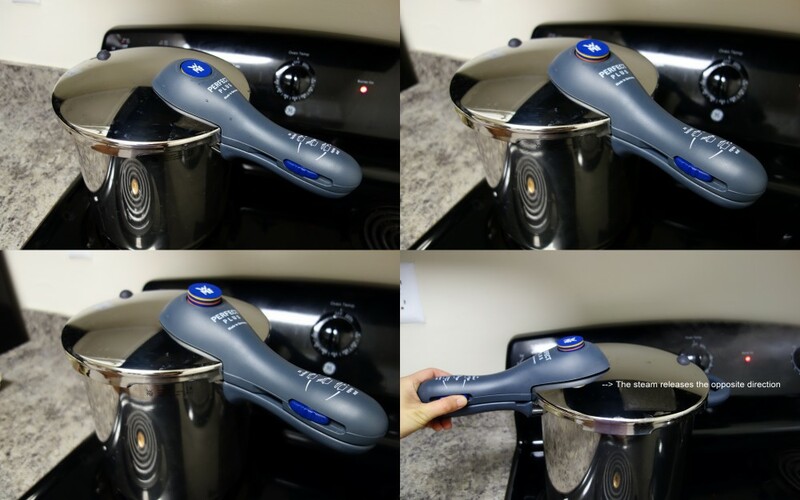 One of my favorite designs is the quick release steam comes out in an opposite direction unlike most of pressure cookers. This way, I don’t have to worry about being burnt by the steam. The manual is really useful with a clear cooking chart for different kinds of meat and cuts with many recipes. The pot retains heat really well. I have already used this pressure cooker to make pho, beef stews, and braised pork belly. All taste amazing and saved up so much time! !